Recently I was at a beach bar in Playa Del Carmen and everyone was staring at this one chick. She looked straight from the cover of the Sports Illustrated Simsuit Edition. She was that hot that at first no guy even dared talk to her. Then one guy tried and got immediately knocked back. That gave all the men confidence and everyone took turns trying to impress her. One did handstands on the beach. A few tried buying her drinks. And many consulted their guide to the world’s worst pickup lines. I decided to go up and wow her with my knowledge of Playa Del Carmen’s Mayan history. I spurted out all this nonsense, and she just stood up and left the bar! I heard her muttering something about the beach being much quieter at Puerto Aventuras. Where Is The Location of Puerto Aventuras? That’s all I was thinking. Where is this magical place where all the women look like swimsuit models? I was spellbound, so I researched Puerto Aventuras. It’s located on the coast just 12 miles south of Playa Del Carmen. It’s almost halfway between Playa Del Carmen and Tulum. Puerto Aventuras is a gated tourist enclave with resorts, condos, villas, and bars. It’s a very exclusive place with some top 5-star hotels. Although when I did some research I found that the prices are quite reasonable. The hotels and villas are more expensive that Playa Del Carmen but they’re still quite affordable when compared to 5-star resorts in America. That woman looked famous so I think she must have been staying at Chac Hal Al. It’s an exclusive beach and inlet only for people staying in the most exclusive and expensive resorts and villas. I can imagine that if you wanted complete escapism then Puerto Aventuras would be a good holiday destination. Especially if you don’t want to hear 100 bad pickup lines – every day. What To Do In Puerto Aventuras? The Puerto Avenuturas location is he spectacular. It’s situated on a perfect strip of white sand and fulfills everyone’s tropical paradise dreams. 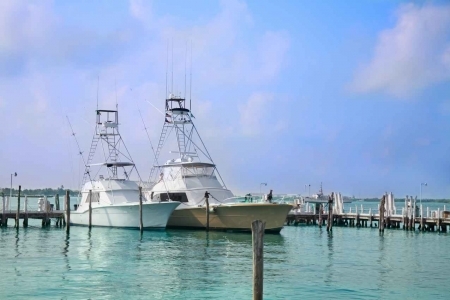 Most of the activities are centered on the beach and private marina. Like jet skiing, fishing, sailing. 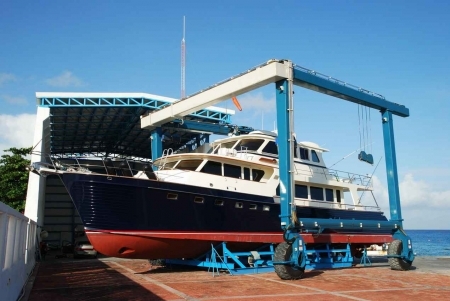 You can come with your own boat, rent your own private catamaran, or go on a boat tour. As with most exclusive resort areas near Playa Del Carmen they have a golf course and tennis club. This golf course is surrounded by the jungle. I would lose every single ball if I ever played there. 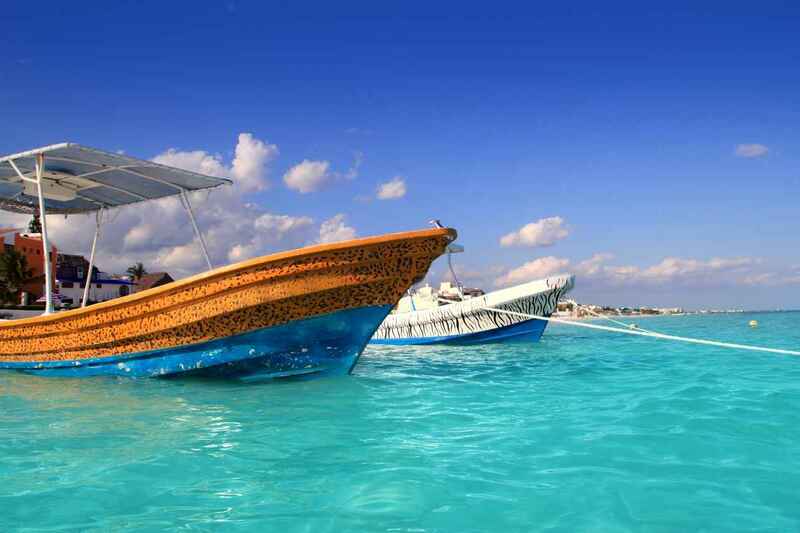 Like Playa Del Carmen, there are also many things to do in the surrounding area. Like diving and snorkeling, or visiting Xcaret, Xel Ha, or Tulum. But they also have their own dolphin discovery center at Puerto Aventuras. So you can swim with dolphins without leaving the resort area. 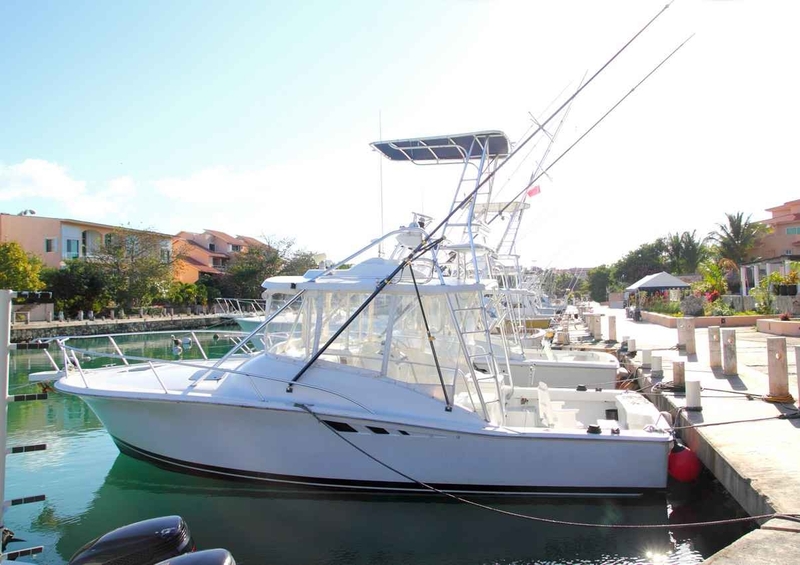 The location of Puerto Aventuras is designed to be away from everywhere else. You won’t find any locals living nearby. In fact, you won’t find anything around Puerto Aventuras other than jungle and ocean. They have shops, cafes, restaurants, and everything else. That means you don’t ever have to leave the gated resort area. Although, if you come on vacation to Puerto Aventuras, you should definitely explore the surrounding area. And I promise that if I see you in Playa Del Carmen, I won’t try and impress you with Mayan history. If you vacation here, then the most important thing to bring is your credit card and passport. Everything else you can buy here. These are the different resorts you will find at the Puerto Aventuras location. There are also a huge variety of villas and condos that can be rented. Aventura Spa Palace is now the Hard Rock Riviera Maya. Aventura Cove Palace is for families. There are 5 Barcelo resorts, the most luxurious being Barcelo Mayan Palace Deluxe. 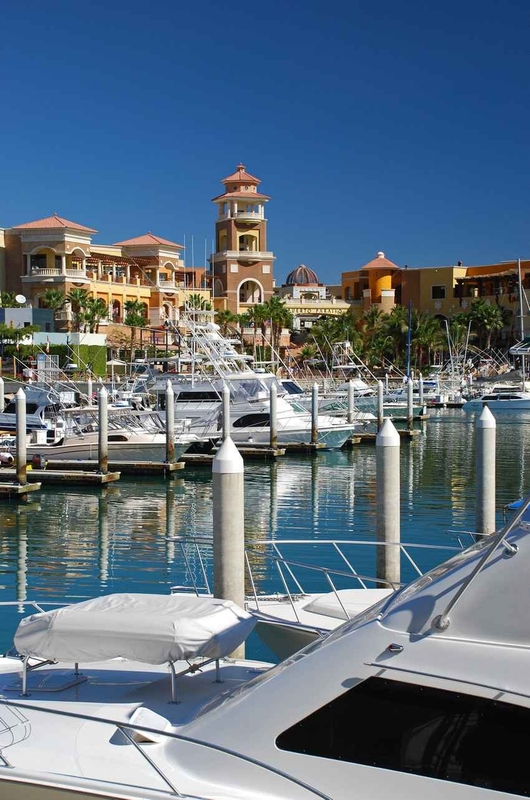 Omni Puerto Aventuras is an exclusive 5-star with its own marina. Catalonia Riviera Mayan is an all-inclusive resort for families. Catalonia Yucatan Resort has a great beach front location. Dreams Puerto Aventuras is the most lively of the resorts here. If you’re looking to buy property in the Riviera Mayan, then you should check out what’s on offer here. As it’s very exclusive, and the area is growing dramatically, the prices should not only stay high, but increase in value as well. But you’ll need a lot of $$$ to start with. Perhaps a small price if all the women on the beach look like the one I tried impressing. Puerto Aventuras is a place for people wanting an exclusive retreat holiday. It’s got stunning hotels and stunning surroundings. But I can see why people would want to go here. And even though it’s more expensive than Playa Del Carmen, you can get 5-star luxury for much cheaper than elsewhere in the world. I hope to see you on one of the boats around Puerto Aventuras soon!!! It’s your turn! 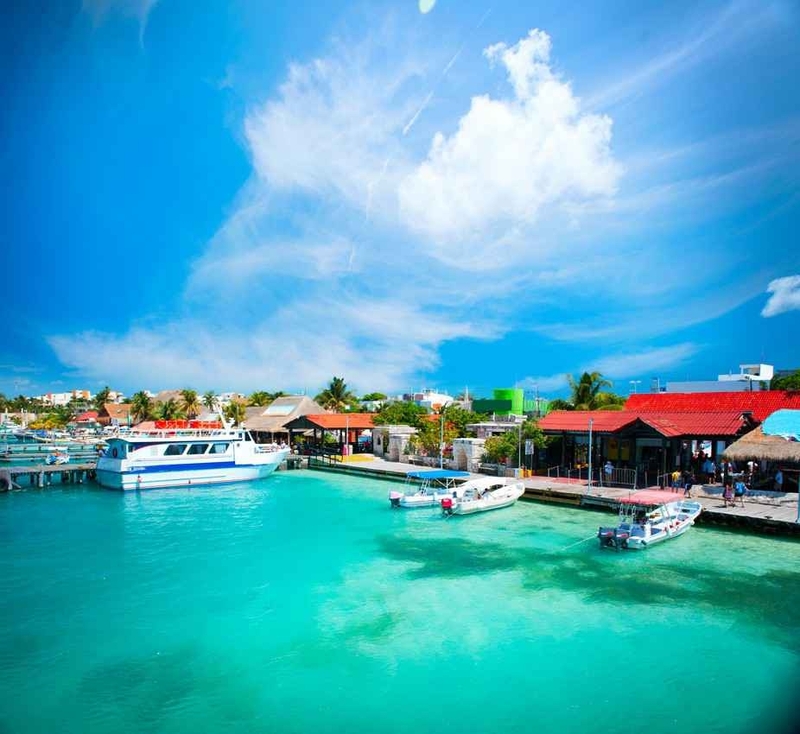 Have you visited Puerto Aventuras? Tell us about your experience in the comments section below!